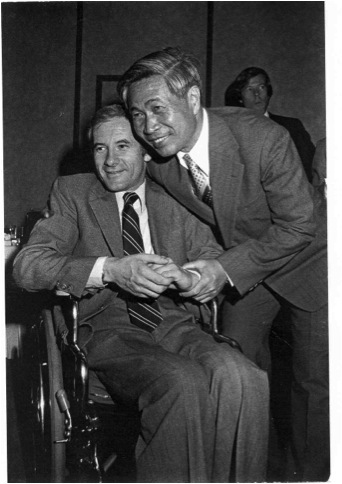 Vietnam Veterans of America leader Bobby Muller and Vietnam’s Foreign Minister Nguyen Co Thach in Hanoi in 1981. On December 12, 1981 the Vietnamese government invited the first American veterans to return to the country. This was just six years after the fall of Saigon and the reunification of the country, during a time when travel between the US and Vietnam was still difficult. This criticism shows just how poor relations between the US and Vietnam were in 1981. It would be 14 more years before diplomatic relations between Vietnam and the US were normalized, but the visit marked the beginning of unofficial discussions between the countries about some of the remaining war legacies like the prisoners of war and Agent Orange.